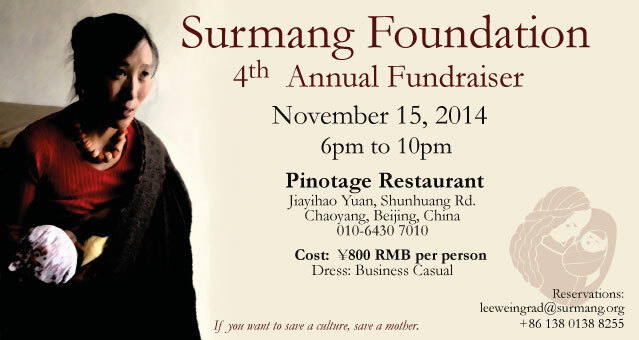 Everything we do is for the benefit of the ethnic Tibetans of Surmang and other parts of China. We have no other purpose. We don’t have any business, political or religious agendas. Our efforts depend on the resources that inspired people like yourself can bring to the Tibetans in Tibet. All of what you see on this Web site was done by people. The buildings were designed one kilobyte at a time by Paul Kloppenburg and Adrian Sopher. The bricks for the clinic they designed were laid one at a time by friends and workers who joined for a common purpose. Before our volunteers, there were just some words on a piece of paper and some photographs. We are here to help and without you there is no ‘we’. So please help. Go to fill out the form. Lend us your support, be it in the form of money, materials, or your expertise. Maybe you can’t help, but you know someone who can. For general information please use our contact form.